The hip-hop band The Black Eyed Peas was formed in 1995, in the US city of Los Angeles. It was settled as a banal rap project. However, the musicians decided to change the style and add a cute vocalist Stacey Fergie Ferguson as a substitute to Kim Hill, who left the collective in 2000. As it became evident, the idea was a success – the disc Elephunk (2003) immediately brought the band into the limelight. The follow-up Monkey Business, released in 2005, propelled the group’s popularity on a new level, while the command’s members Fergie and will.i.am paid much time to their solo careers. In spite of all the rumors about the up-coming collapse of The Black Eyed Peas, the artists went on to tour together and help each other in the work on solo albums. In fact, such rumors were predictable, as some performers leave their bands, when it seems to them they are too glorious to sing in a collective. However, it was a wrong conclusion about The Black Eyed Peas. For about fifteen years they stay united – although Fergie entered the band only in 2003, she immediately caught the spirit of the group – and can be seen as a solid, harmonic collective. They gave concerts all over the world, advertised Pepsi together and headlined festivals. The band sold out over twenty million copies of their discs around the world. This year, when they are on a peak of their career, the musicians recorded the new album with the title The E.N.D. - the acronym stays for The Energy Never Dies. The disc The E.N.D. will amaze you with its futuristic approach and the number of daring decisions per one track. 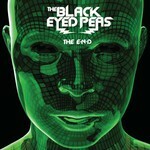 No doubt, the single Boom Boom Pow became the brightest representative of the new album by The Black Eyed Peas. First of all, you will immediately hear the band’s music move to electro-funk, while the song itself has nothing to do with the standard structure – the composition is centered on the mesmerizing beat. As for the texts, the artists stayed faithful to their style – playful, filled with hints and jokes, the verses will cheer up both the long-time listeners and those, who opened The Black Eyed Peas for themselves only some time ago. Such tracks with the speaking titles as Rock That Body, Party All The Time, Out Of My Head and Rockin To The Beat are sure to become the regular numbers both in clubs and on different parties. The romantic track Meet Me Halfway with Fergie’s lead vocals will remind the listeners about her solo career, while the expressive melody Electric City with the elements of reggae seems to be written on Jamaica. Promo-single Imma Be is one of the brightest spots with Fergie on this disc. The Hip-hop composition Now Generation is something in the middle between a precise description and witty criticizing of the new generation, which spends much time in the Net. The track One Tribe, possessing a vivid beat, ponders over the peace all over the world and unusual ways of achieving this goal – thanks to political activism of will.i.am, of course. In spite of the impressive length of activity for the dance collective, The Black Eyed Peas still know, what exactly makes the public party. They are the same fun-lover, as they have been a couple of discs ago, playing the roles, chosen by each member of the collective. The disc The E.N.D. is also playful, spontaneous. Take the acronym in the title – what is it, if not a kind of a game? The musicians make experiments with the style mixing and the structure of the songs on The E.N.D. The only thing spays untouched – it is the atmosphere of celebration and party, which is the reason why people love the band. If you are a devoted listener of The Black Eyed Peas, you may need time to get used to the refreshed sound of the collective. More electro-funk than its predecessors, The E.N.D. will amuse the public with a collection of gorgeous beats and witty lyrics. It goes without saying that Fergie decorates any song she sings on, while will.i.am actively uses the mask of an everywhere man. The members, known to us as Apl.De.Ap and Taboo, also made their impact on the disc with the help of wonderful tunes and raps. The disc The E.N.D. is an astonishingly positive, celebrative collection of dance music, destined for the club fun and home parties. The songs are not united by any concept of common topic, but they have such common qualities as infectious beats, melodic arrangements and the aforementioned in the title energy.